The Erie SeaWolves (41-38) claimed a 5-2 win over the mistake-prone Richmond Flying Squirrels (39-41) on Saturday night at Jerry Uht Park. The Squirrels put 10 SeaWolves on base throughout the night by committing three errors, walking six and hitting a man. Javier Herrera put the Squirrels in front on the second pitch of the ballgame. Herrera took Erie righty Patrick Cooper deep to left field, landing a solo-shot on the roof of Erie Insurance Arena. Herrera’s second of the series and 11th of the season gave Richmond a 1-0 lead. Richmond right-hander Taylor Rogers retired the first seven batters of the ballgame. However, Wade Gaynor doubled into the left-field corner with one out in the third inning. Marcus Lemon followed with a single into left-center that plated Gaynor to tie the ballgame, 1-1. Things unraveled for Rogers and the Squirrels in the bottom of the fifth inning. Rogers walked James Robbins and Gaynor to start the inning. The Squirrels then botched a defensive assignment as Lemon bunted for a single to load the bases with nobody out. Jamie Johnson then cracked an RBI single into left field to give Erie a 2-1 lead and chase Rogers from the ballgame. Right-hander Jose Valdez came on and walked Eugenio Suarez to force in a run. Hernan Perez followed and sent a two-run single to left-field to put Erie in front, 5-1. All four runs in the fifth inning were charged to Rogers (5-5), who took the loss over four innings plus four batters. He was charged with five total runs on four hits. He walked four and struck out two, suffering his fifth setback of the season. Cooper did not factor in the decision, departing due to a pitch count after four innings. He allowed just a lone run on five hits, walked two and struck out one. Right-hander David Kopp (1-2) entered in the fifth and worked three scoreless innings to earn the win. He allowed just one hit and struck out three. The Squirrels got their final run off right-hander Tyler Stohr in the eighth inning. Mark Minicozzi (4-for-5) led off the inning with his fourth hit of the night, a double to center field. An out later, Mark Wagner knocked him in with a single back through the middle. Righty Melvin Mercedes came on for the ninth and immediately loaded the bases with two walks and a hit batsman. However, he recovered to retire the next three batters to finish the ballgame and earn his first Eastern League save. The finale of the four-game series is scheduled for 1:35 p.m. at Jerry Uht Park on Sunday afternoon. Richmond LHP Chris Gloor (5-3, 3.46) will make the start against Erie RHP Victor Larez (6-4, 4.97). 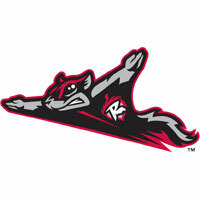 The Flying Squirrels Pregame Warmup will begin on Sports Radio 910, SportsRadio910.com and IHeart Radio at 1:05 p.m.